Over the past 10-15 years, the medical and athletic communities have made great strides in raising concussion awareness. While most athletes, parents, and coaches recognize the seriousness of concussions, many do not know the best route to diagnosing and managing a concussion. I see athletes in our clinic and training center with undiagnosed or poorly managed concussions far too often. Each time, I become frustrated, knowing that a child’s life could be at risk. 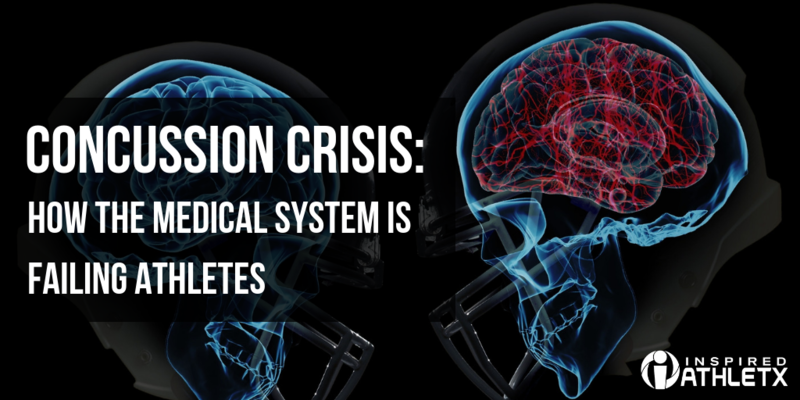 As both a patient and provider, I’ve experienced the traditional medical system’s inability to appropriately care for concussions on an all too frequent basis. Before we get into the nitty gritty of the concussion management problem, let’s review the basics. A concussion is a brain injury, plain and simple. It isn’t just a “bump on the head” or a “bell rung;” it’s a serious brain injury and must be treated as such. A concussion results from the brain impacting the inside of the skull during rapid acceleration/deceleration, or by shear forces during rotation of the head. You can’t see a concussion on a blood tests or imaging scans (x-ray, CT, MRI). Diagnosis relies on patient symptoms and clinical testing of executive brain function (memory, problem solving, etc) and physical capabilities (eye tracking, balance, coordination, etc). This clinical diagnostic process isn’t simple and it requires extensive training and experience to become a proficient diagnostician. The short and long term effects of a concussion can not be overstated. In the short term (until symptoms resolve), the athlete’s brain is not functioning at maximal capacity. They are unable to read the situation on the field, ice or court, or make the quick decisions competition requires. Athletes are also at risk for second impact syndrome, an emergent condition where the brain swells rapidly following a second blow to the head while concussed. Is it worth it for an athlete to risk their life to be a subpar contributor to the team for a game or two? Looking beyond the next game, athletes must consider the long term implications of one or more concussions. The long and short of it is, you only get one brain. Doctors can replace a knee that has been blown out, they can stitch up a cut, but they can’t replace or repair your one-and-only brain. For young athletes, it can be hard to see past the next game, or the play-offs, or their senior season. As parents, coaches, and health care providers, we must lend them our experience and perspective to help them see a lifetime into the future. Post-concussion syndrome is a condition where concussion symptoms last longer than six weeks. Symptoms like chronic headaches, confusion, and difficulty focusing can prevent a student athlete from learning and attending school, impacting their future beyond athletics. 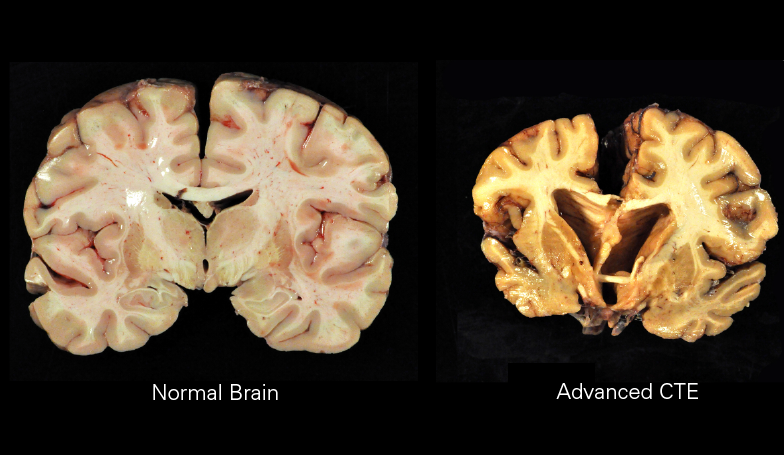 We also know that concussions are linked to chronic traumatic encephalopathy (CTE). This condition, the result of repetitive blows to the head, results in degradation of the brain tissue. Symptoms include mental health concerns like depression and suicide. CTE has also been linked to violent behaviors. The human body is incredibly complex, far too complex for any one practitioner to be an expert in everything. To improve the quality of care, the medical system has evolved into a collection of specialists, each focusing on one specific organ system or condition. You wouldn’t go to a cardiologist to set your broken ankle and you wouldn’t see an orthopedic surgeon to monitor your recovery after a heart attack. You go to the expert. So who should you see when you think you have a concussion? The answer may surprise you: a Certified Athletic Trainer (ATC). Athletic trainers are the most educated and experienced providers in diagnosing and managing concussions. Over the course of their education, ATCs go through entire courses and clinical experiences dedicated to concussions. They study and practice symptom assessment, objective analysis of clinical signs, post-concussive management, and return to play procedures. Athletic trainers also encounter concussions most frequently and consistently in their clinical practice. Depending on the size of the student population, high school and college athletic trainers manage more concussions in a week than a primary care physician may see in a month or longer. Now I’m not bashing physicians here! They are an integral part of the healthcare team and are excellent providers in their own right, but most physicians are not the best choice for concussion diagnosis and management. A physician’s formal concussion education is minimal at best, and certainly not enough to produce a proficient concussion diagnostician and manager. It may consist of few slides in their neurology class, providing WebMD type information, like signs and symptoms, red flags, and recommendations of rest after a concussion. Objective assessment, management techniques, and return to play procedures are typically not covered. Unless a physician specializes in neurology, or perhaps emergency medicine, their formal education ends here. Additionally, the average primary care provider may only see a handful of concussions a year. They don’t get enough clinical experience to remain a proficient concussion care provider. Physician-based management typically disregards appropriate return to play protocols and will focus on rest. I know who to see, now how do I get to them? One challenge is gaining access to a Certified Athletic Trainer. Most high school and collegiate athletes will have access to an athletic trainer through their school. Rec/club athletes and adult athletes may have greater difficulty finding an athletic trainer to diagnose and manage their concussion. One way to find an athletic trainer is to contact private practice physical therapy clinics, sports medicine clinics, or orthopedic practices. Many have athletic trainers on staff who may provide outreach at schools or function as support staff to other providers. These athletic trainers may be available for consults on concussions. b) if your athletic trainer refers you to the ER to rule out something far worse than a concussion, like a brain bleed or cervical spine injury. Signs that should prompt you to go to the ER to screen for life-threatening conditions include loss of consciousness, neck pain, vomiting, worsening headache, worsening confusion, and visual changes. Remember, the ER is not a place where concussions are managed or treated, it is simply there to rule out life-threatening injuries. You will need to follow-up with an appropriate medical professional to manage your return to play process. 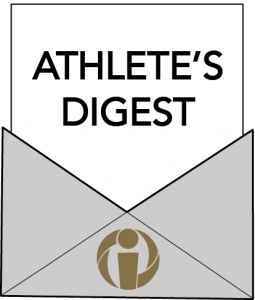 Many athletes believe that if they have been cleared to play by a physician, they can return to practice and competition immediately. Unfortunately, some athletes, parents, and coaches, misguided by this common belief, will go to an under-trained physician for clearance in an attempt to skirt an athletic trainer’s concussion diagnosis, believing it will allow for more rapid return to play. Simply becoming more aware of concussions is not enough to protect our athletes and ensure proper medical care when concussions inevitably occur. The new goal is to educate our athletes, parents, coaches, and healthcare providers, and guide them through the best concussion diagnostic and management process to allow safe and timely return to the game!